RandBall checks in on Isaiah Crowell's Moss-like moment in Cleveland, Karl-Anthony Towns' social media post and the Onion getting in on Jimmy Butler's deal. *In addition to performing nicely as an injury replacement on my fantasy football team Thursday night, Jets running back Isaiah Crowell somehow also managed to avoid the ire of Chief Booty-Related Touchdown Celebration Officer Joe Buck. 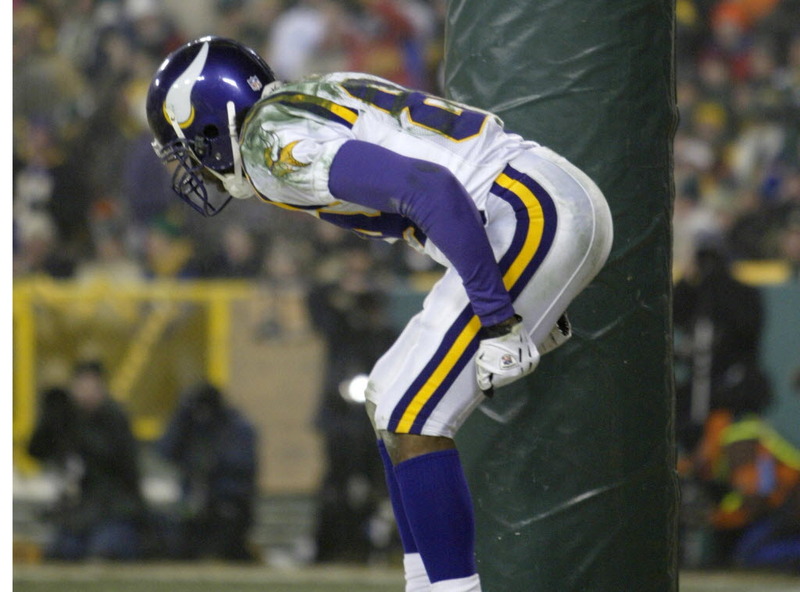 Buck, you might recall, was none too impressed when the Vikings played the Packers in the playoffs after the 2004 season and Randy Moss celebrated a TD at Lambeau Field with his “fake moon.” Buck’s sensibilities were so offended that he declared it a “disgusting act,” a call that lives on. So what did Buck do Thursday when Crowell plunged into the Browns end zone (I promise this is not a pun) and then used the ball as a prop while mimicking the act of wiping one’s behind before firing the ball into the stands? Not much, really. All Buck said was “and that will draw a flag every time” as the yellow hankies rained down. Maybe the decreased magnitude of the game — not to downplay the Browns’ first win in forever — brought out the muted response? Or maybe Buck has mellowed in the 14 years since Moss? It’s unclear to what exactly KAT is referring, though if you’ve been online lately you might have a guess. If it’s something of a more personal nature, KAT is right: he shouldn’t have to address anything. But if it turns out he’s upset about the perception that his relationship with Jimmy Butler is part of the reason Butler has reportedly requested a trade … well, like Butler — who has been silent except for making vague references on social media — Towns is free to attempt to set the record straight whenever he wants. He had that opportunity in mid-July during a media availability at a basketball camp he was hosting locally, but his camp made it clear he was only going to answer questions about the event. This is a also good time to remind folks that the Wolves are slated to host media day on Monday for their upcoming season, and all players as well as head coach Tom Thibodeau are slated to talk then. It will be held at Target Center, and pending the results of the next 72 hours I can’t imagine it being anything less than a full-blown circus. *The Butler saga, by the way, is a big enough national story that satirical Onion got in on it. What’s that they say? There is no such thing as negative publicity?